Harley exhaust pipes work too. 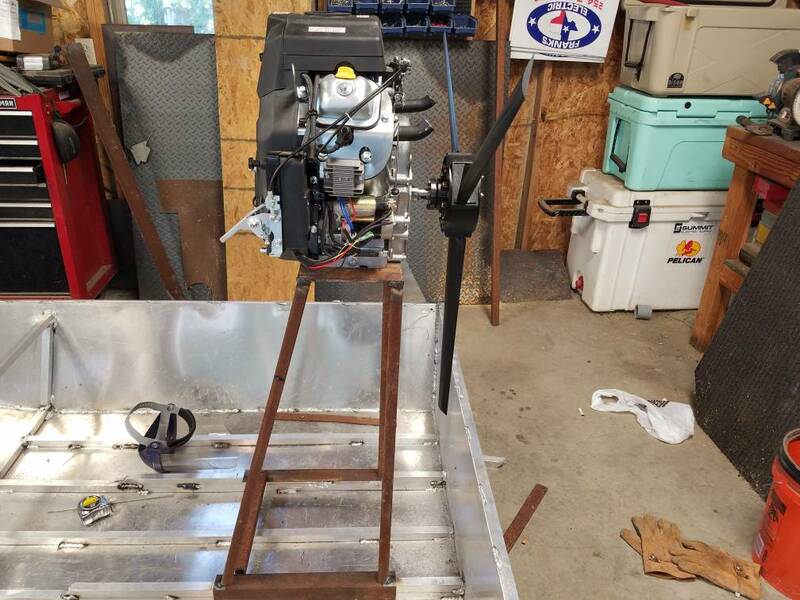 Beginnings of an engine stand. 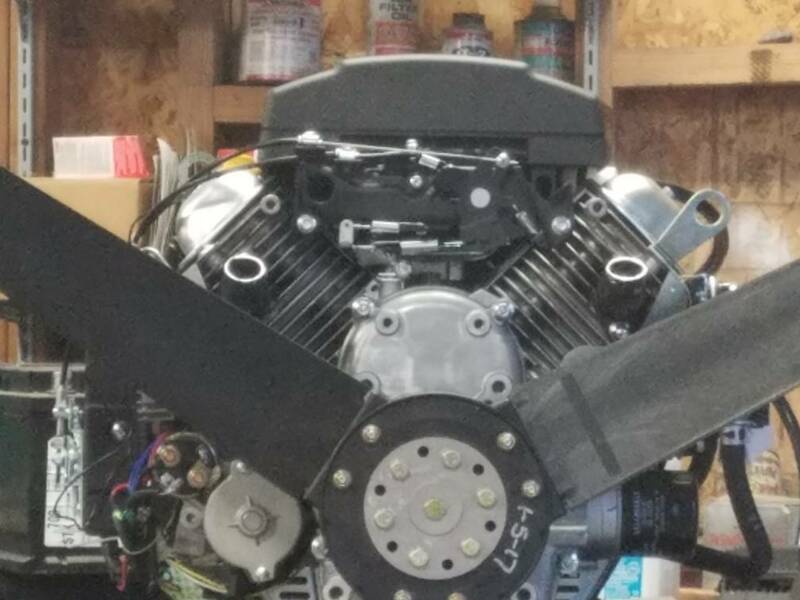 Motor set in place. Just mocked up will have to come off a cou0le more times. Location: East Texan by birth but spending all my time in Okl. It would be a blast on Chocolate Bay!!! 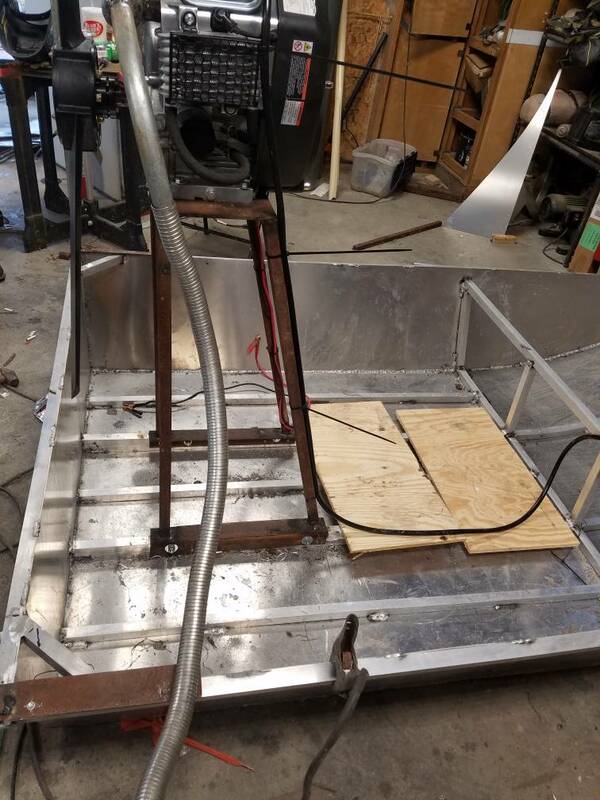 My son raced an alcohol cart, with a 5 HP based block, Blue Wazoom motor that made 13 HP stock...but it wasn't stock. 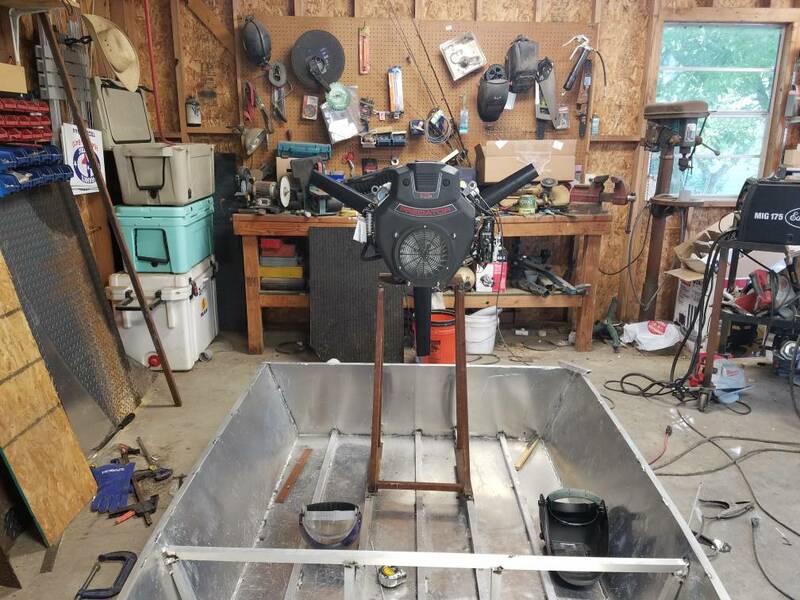 I wonder if the lighter motor, turning higher RPM would push that boat any differently than your heavier 22 HP motor? 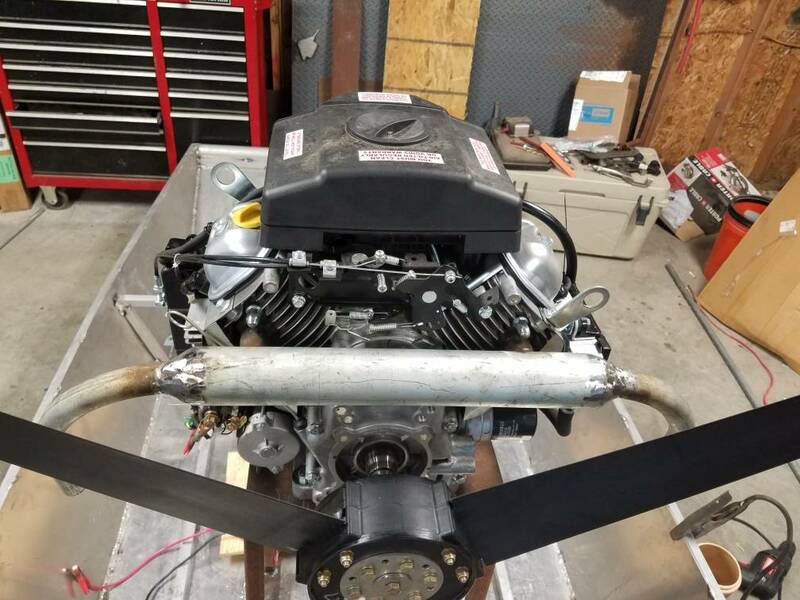 It looks like it might be a little shaky with that motor up that high ... this definitely screams Dale Moser! 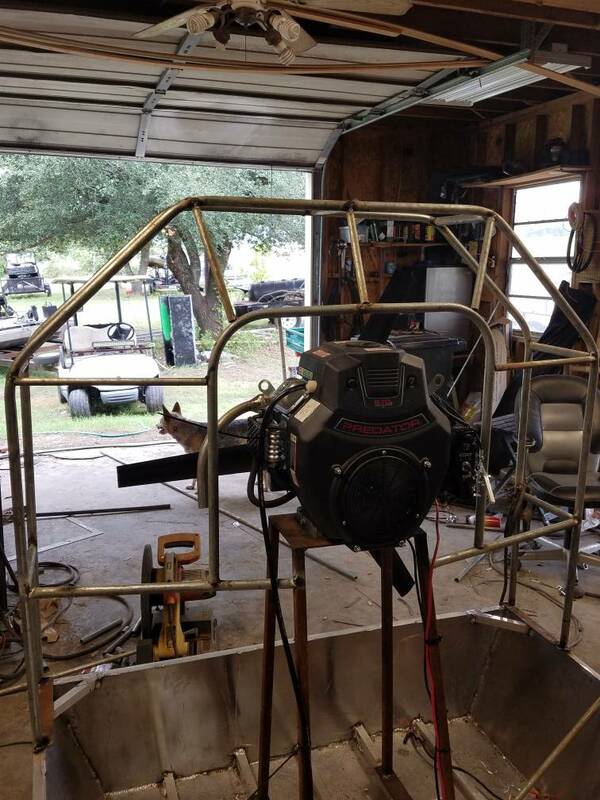 On air boats you want low end torque at least on a real size air boat. Awww man! Waiting on the updates! Y'all are teasing us! You should be done grilling tuna steaks by now!!! Hoping this isnt so and if it is I hope everyone is safe! This is pretty sweet. I wish I could weld aluminum and I'd try and build myself one. I have that same spool gun any tips? It's been too dang hot. I work outside all day and the last thing I want to do is go work in a 110* shop. We'll get back after it shortly. Ronnie had to take some time off to build a storage shed also. But the tuna steaks are good. Ultra Props said we could turn it to 4k before the tips broke the sound barrier. 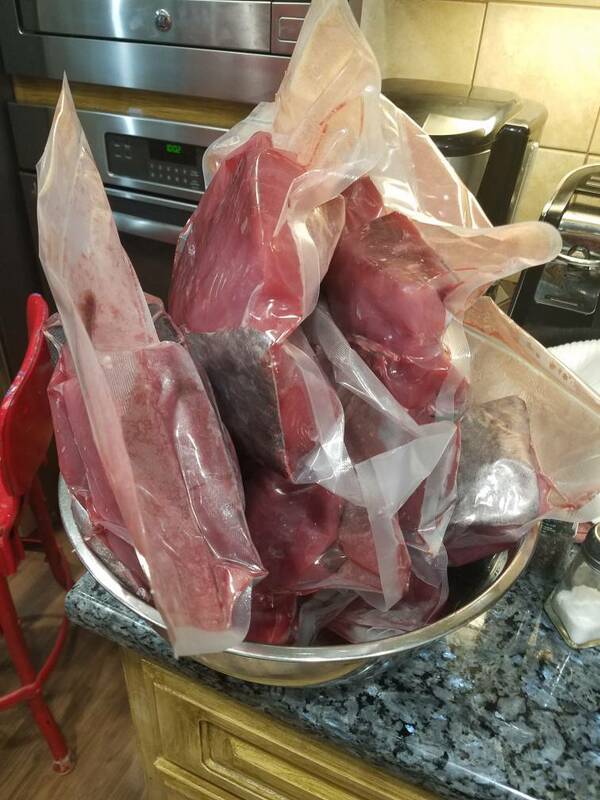 Ended up with 120 pounds of Tuna per person. 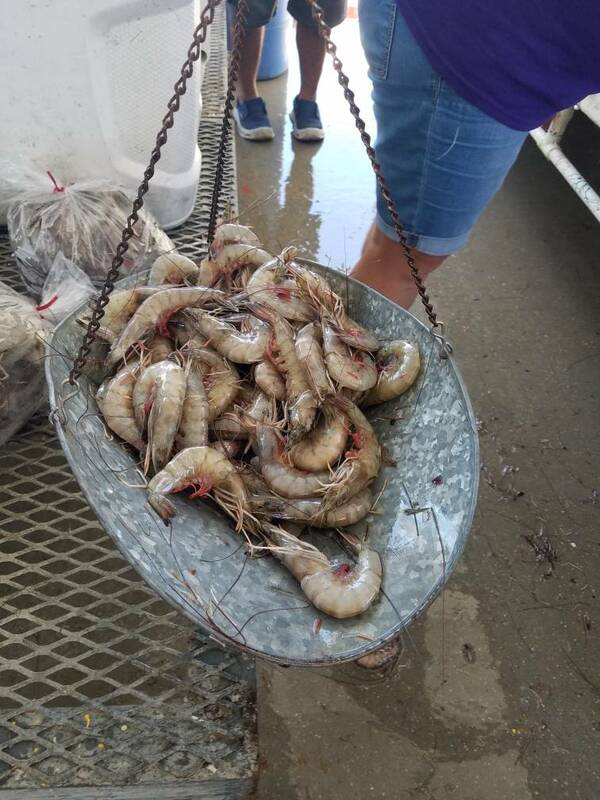 Also brought home 90 pounds of shrimp. Great look-n shrimp Darrel! Bet some of those tuna steaks are the bomb too~! Want to see video of this thing in action! 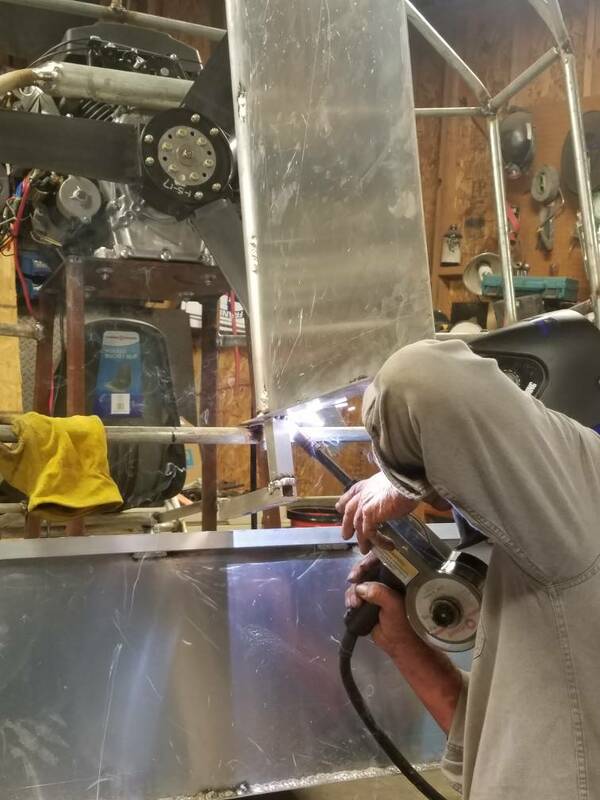 Somebody get Darrell a window unit for his shop so we can get more updates!! Video? Can i have some tuna! Dang it. How do you post a vid on tapatalk. I think you'll have to post to youtube or something. It actually moved on concrete with Ronnie in it. 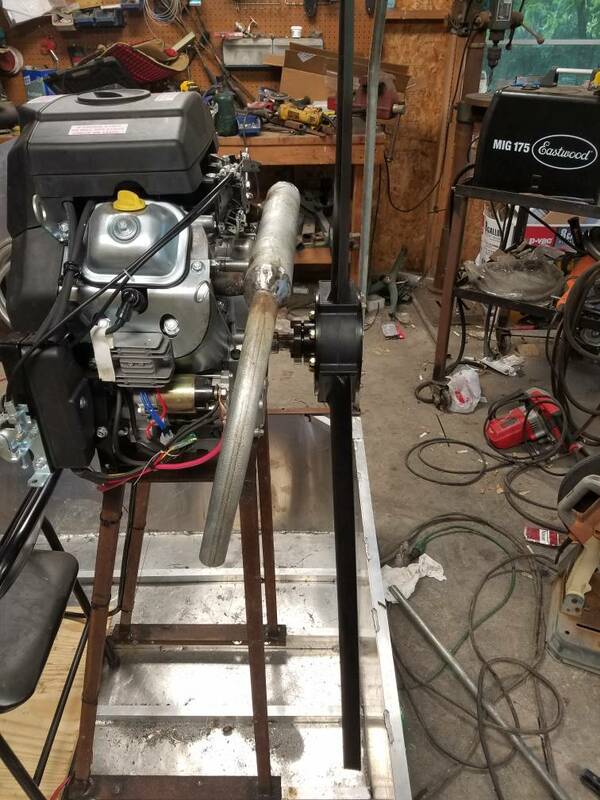 It ought to run pretty good. 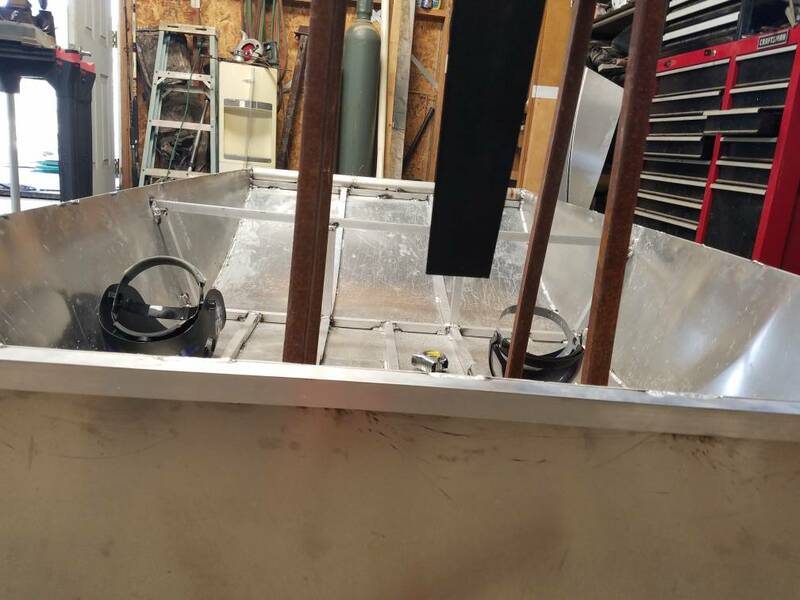 Tomorrow we hope to get the cage, seat, rudder and controls done. Just in time for using it around town this weekend. Pretty cool. Are y'all using a fuel pump to pump the gas? Got a little more done. 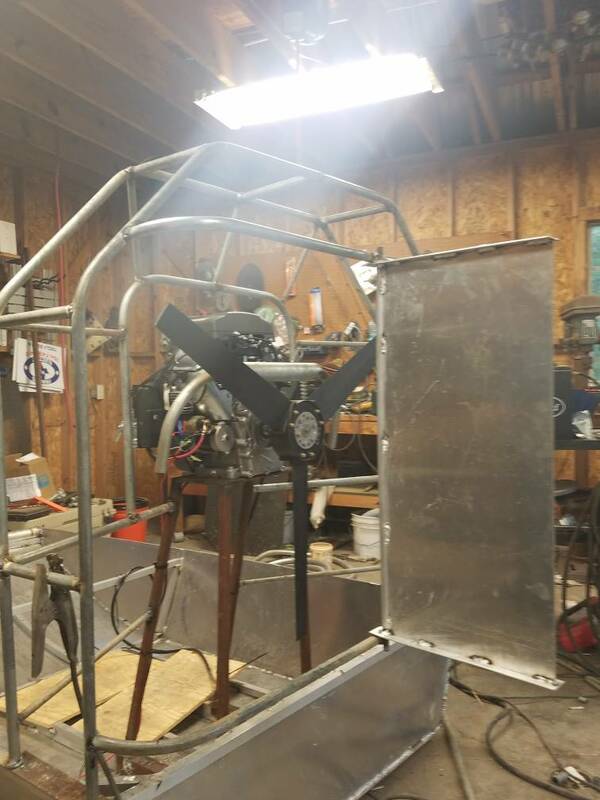 Ronnie pretty much got the exhaust done and the cage is started. 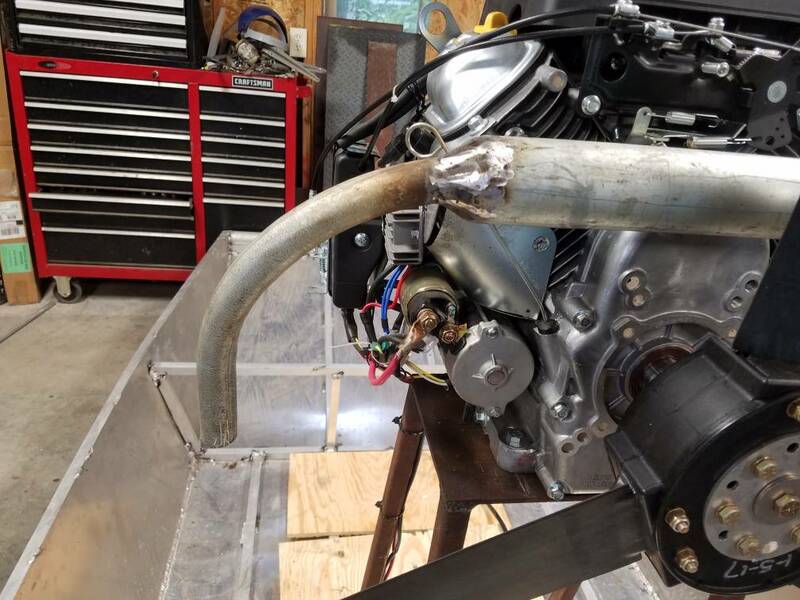 Once cage is done flex will come off of exhaust down pipe and the to the cage. Enjoyed, cant wait to see the video of you screaming down the river in it. Cage pretty done except for wire. We have a rudder. Now to figure out steering linkage. 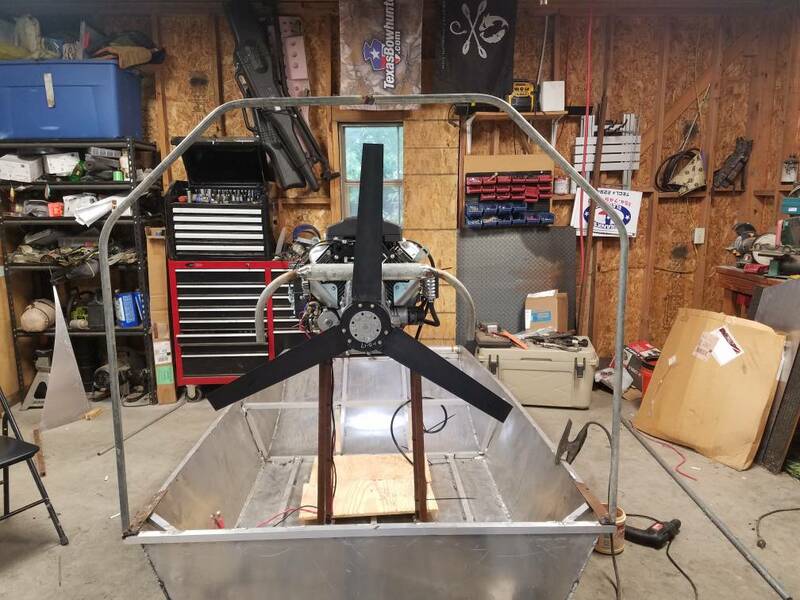 Just about got the rudder linkage done. 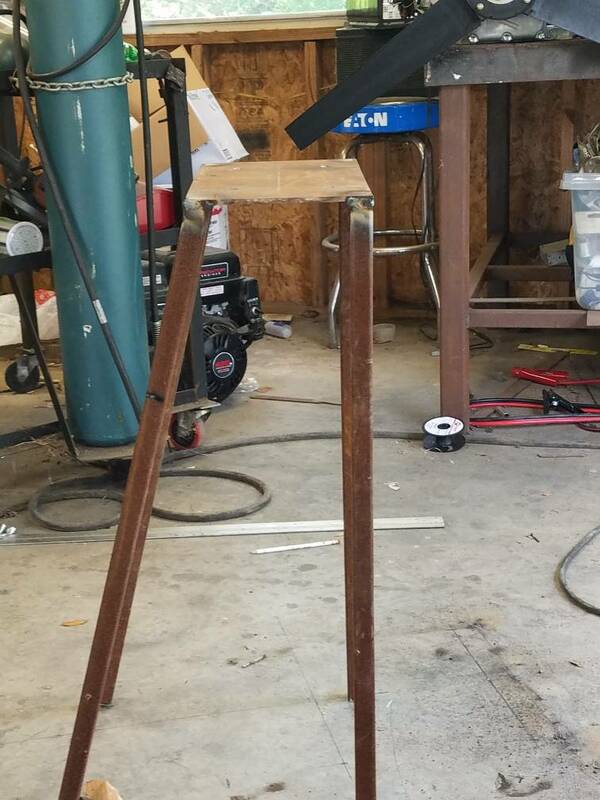 Seat stand and seat mounted. Won't be very long until we see how fast she is. 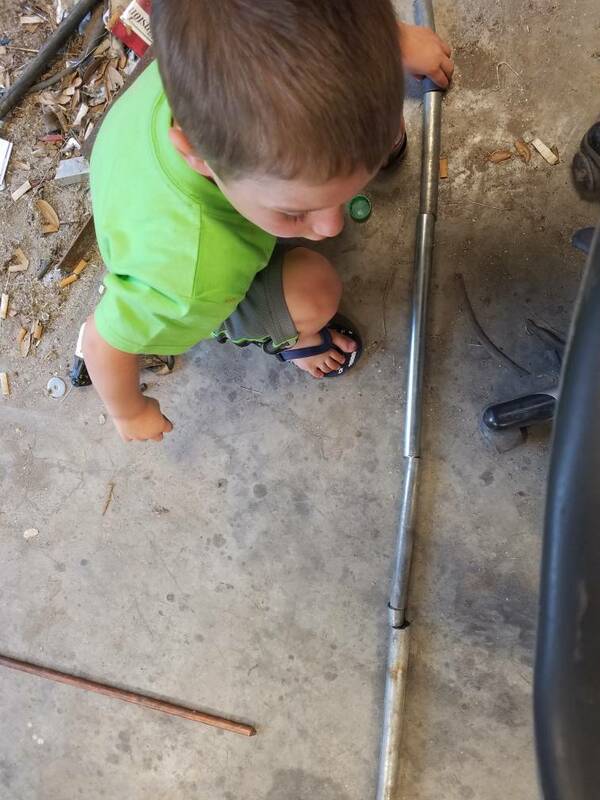 On another note my Grandson hung out in the shop this afternoon and built some "airboat parts too).